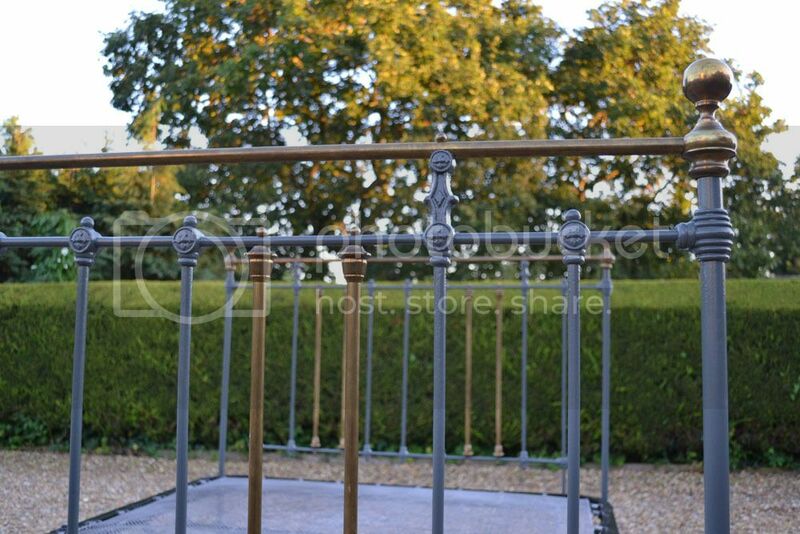 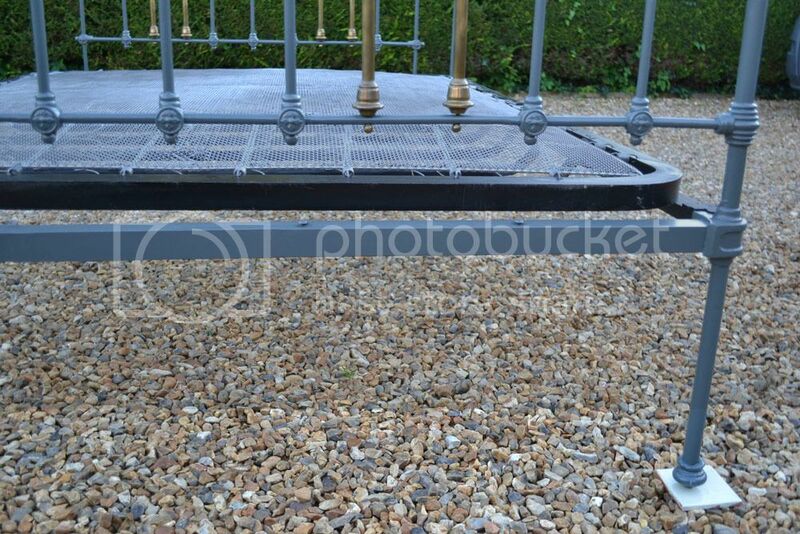 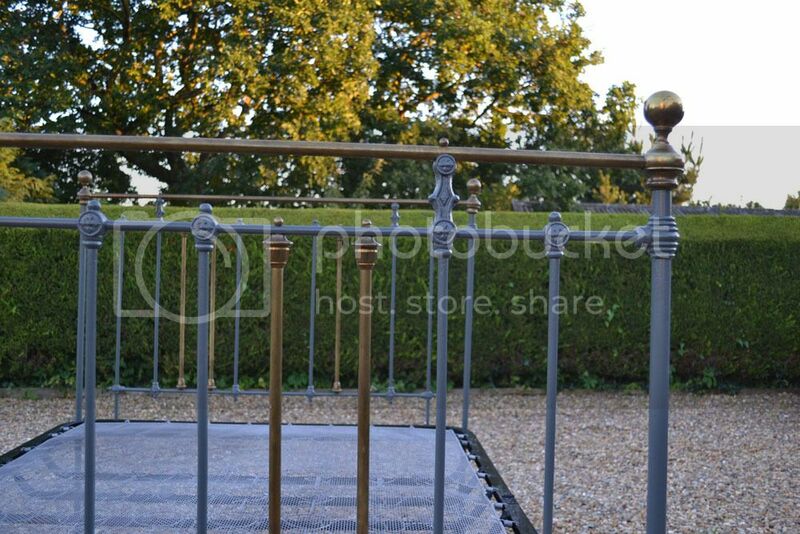 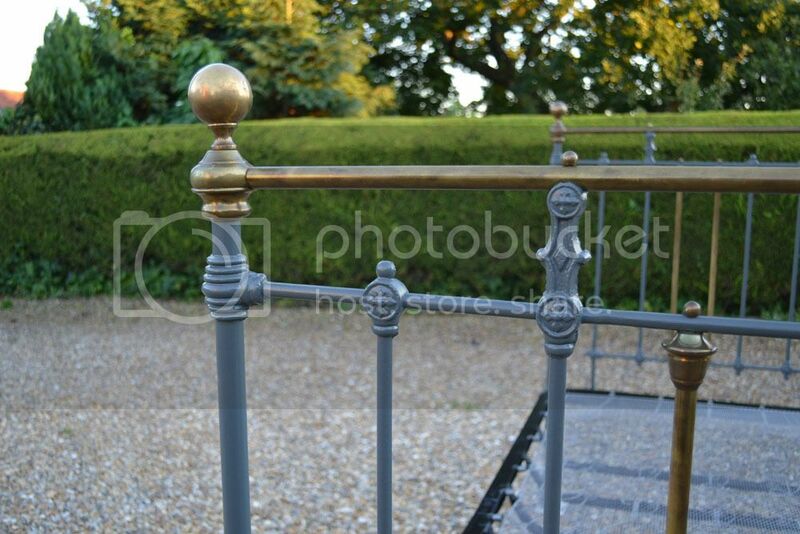 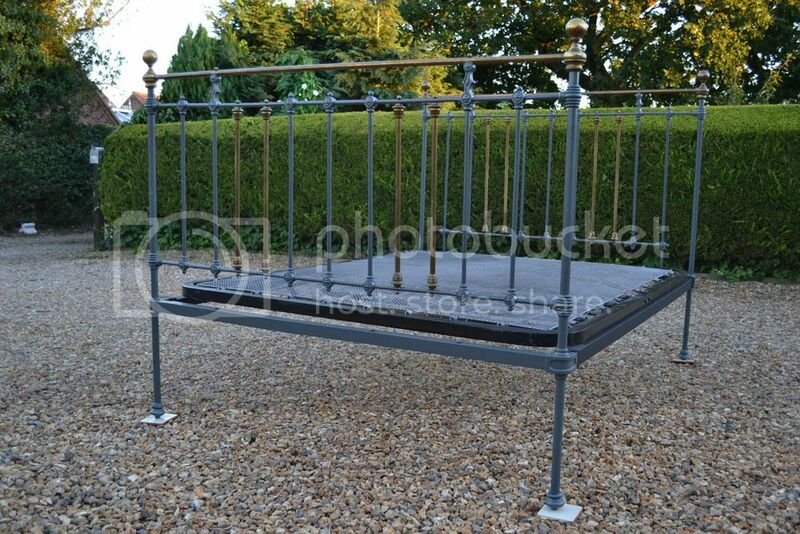 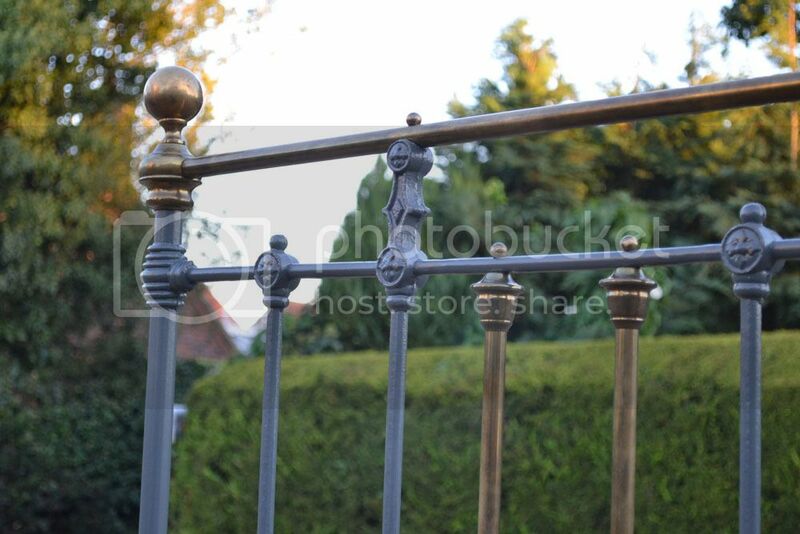 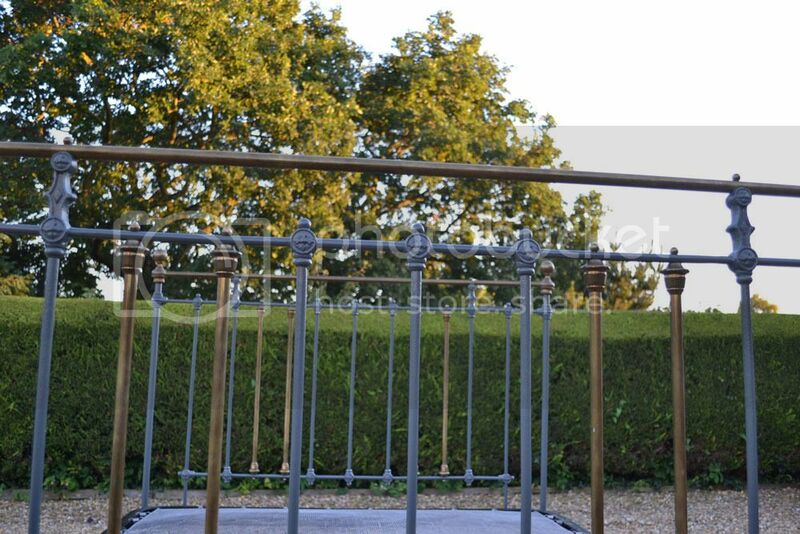 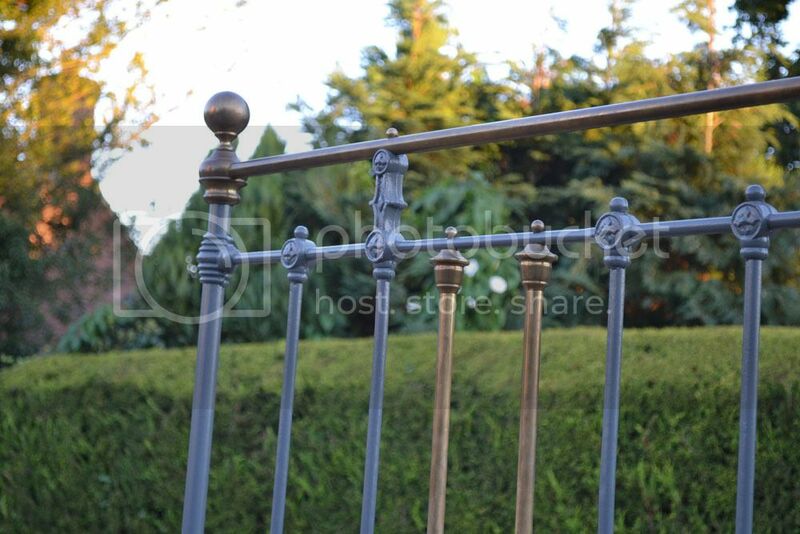 Code BA315 Victorian Brass and Iron Kingsize 5ft bedstead repainted by the last owner and in excellent condition, complete with a sprung base. 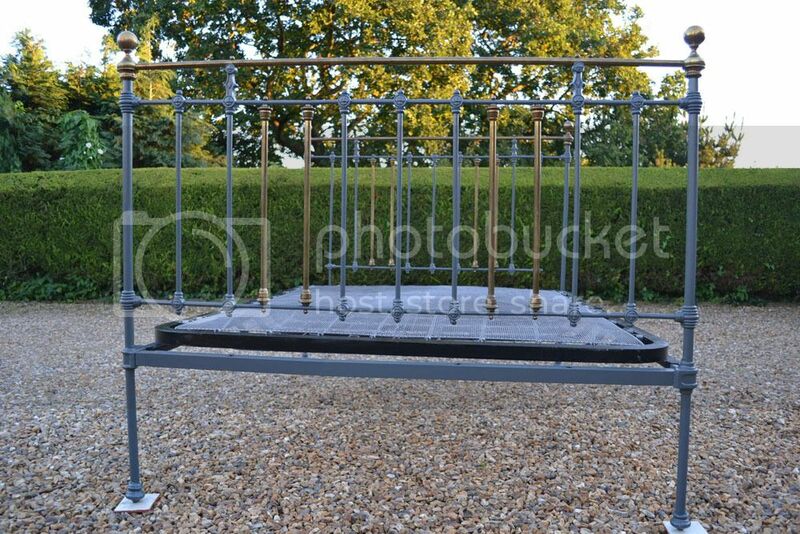 Painted in Farrow and Ball downpipe. 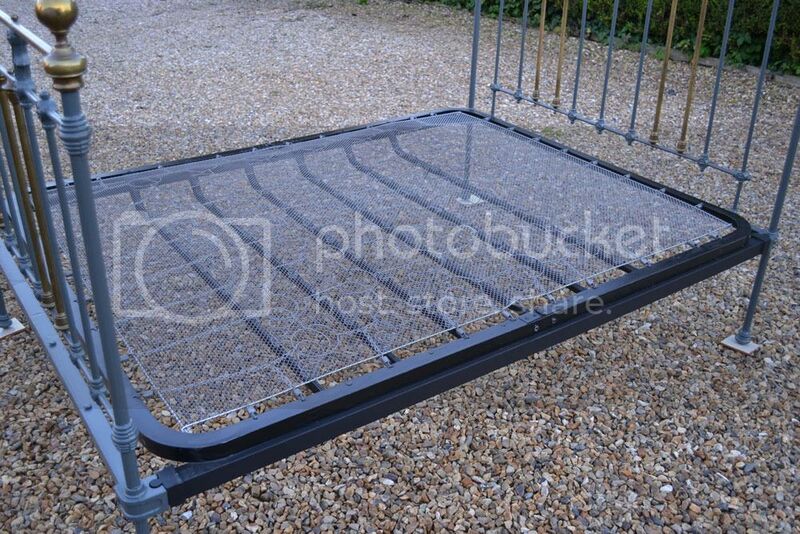 The bed has been extended and lengthened to take a standard UK 5ft mattress .There are a few very small chips to the paintwork.. Comes complete with siderails and newer folding sprung base.